This is the first of four blogs on these content discussions that will appear here over the coming weeks. This one focuses on the first session on Sanctions and below is an extract of the ACCPA’s write up of that discussion, together with the recommendations from the day. Sanctions was a key issue for participants who agreed on the need for a pan-African sanctions list and who had a broad consensus that solution will involve collaboration between regional and central banks together with regulatory and government support. Participants questioned whether the African Union could be called upon to implement a sanctions list for the continent, similar to the European Union’s sanctions list. If you would like to discuss these issues with Accuity’s Africa team, you can contact Alfred Pobi, Key Account Manager or Carlos Trinanes, Sales Manager. The first round of discussions focused on jurisdictional issues, specifically, on how major sanctions lists affect African banks. In his opening statement, CEO Hugh Jones highlighted that in the last three years sanctions have been spearheaded by the U.S. against large global banks with the gravity of the fines being proportionate to the irregularity, and as such, serves as a precedential reminder that no bank or financial institution is exempt from facing the full wrath of the law should they be non-compliant. Mr. Ernest Honya, President of ACCPA, highlighted the importance of compliance by pointing out in his opening remarks that fines on central banks have a ripple effect on all banks within that jurisdiction because the credit rating of individual banks is tied to the credit rating of their central bank. Following the opening statements, participants discussed the diversity of sanctions within their own countries, citing factors such as non-alignment to international sanctions and international legislation as causes for concerns in their banks. Mr. Adama Coulibaly, Director General of GIABA, raised an important question on how to consolidate sanctions with the member states on an economic level, citing economic and operational loss as key concerns. Mr Adama upheld that a possible solution could be the creation and implementation of a global network that enables information sharing in real time and the benefiting of best practices. Mr. Idrissa Diop, Group Head of Compliance at Ecobank, stressed the importance of addressing the risks and needs unique to each African country. Concerns raised by Mr. Diop included the securing of licences for African banks, the imbalance between Western and African practices, and the lack of information on what exactly needs to be monitored. CEO Hugh Jones responded to this by pointing out that banks are in possession of lists of people who they should not be doing business with. Emanating from this, the CEO raised the important question of whether African banks should have an African sanctions and PEP list. Participants made a number of practical suggestions on how compliance in Africa can be improved on. The recommendations were not formally adopted and have no official status. Nevertheless, participants considered that the recommendations provided useful suggestions for follow-up and implementation of future compliance policies and strategies. Compile more comprehensive and detailed information, regarding KYC,AML and CFT best practices. 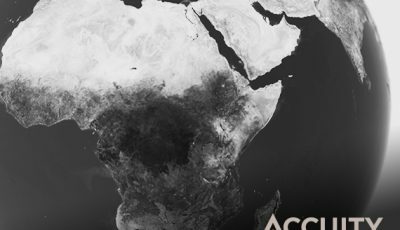 Look out for the next three blogs on African compliance on the Accuity Insights blog over the coming weeks. 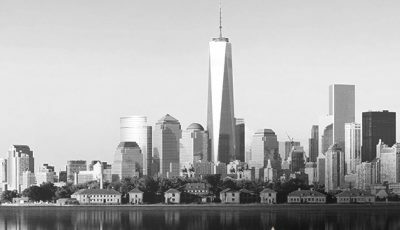 Soaring real estate prices and money laundering – a possible connection? 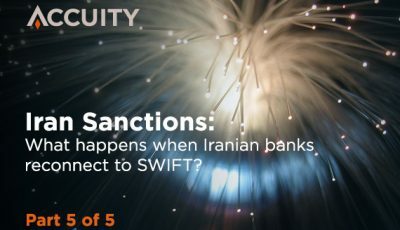 Iran Sanctions: What Happens When Iranian Banks Reconnect to SWIFT?